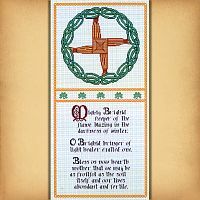 - Venerated by Christians and pagans alike, the goddess/saint Brighid is associated with many aspects of Irish life, including fire, poetry, magic, healing, smithcraft, and more. 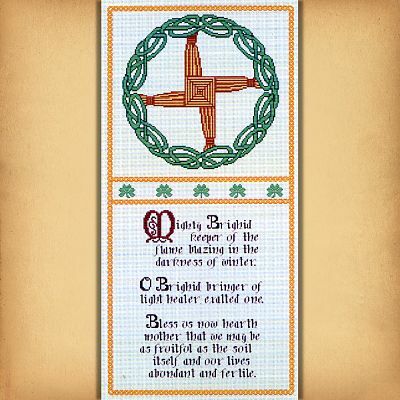 Below the cross of Saint Brighid, the text reads: "Mighty Brighid, keeper of the flame, blazing in the darkness of winter. 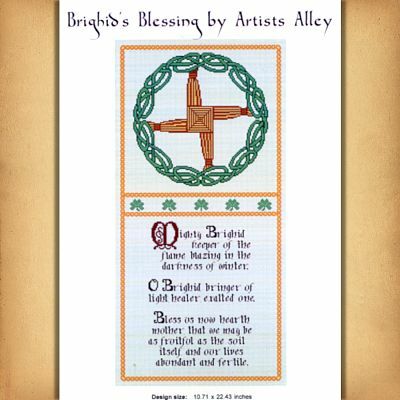 O Brighid, bringer of the light, healer, exalted one. Bless us now hearth mother, that we may be as fruitful as the soil itself, and our lives abundant and fertile." This design measures 150 stitches wide by 314 stitches high. 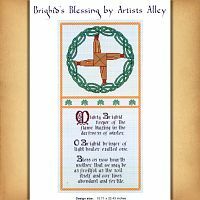 Do you have any other questions about our Brighid's Blessing Cross Stitch Pattern?